Our gorgeous pettiskirts are a must have for every little princess! If you're looking for a beautiful, full and fluffy pettiskirt with layers and layers of the softest chiffon, then you have come to the right place! 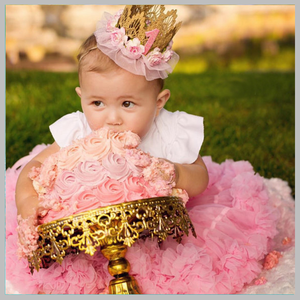 Choose to order just the pettiskirt, or make it a set with anyone of our personalized tops and matching accessories. Our pettiskirts ranging in all sizes including infant, toddler and youth sizes. Custom orders for older girls and adults are available. Contact customer service for details.